Induspray is a painting contractor company offering industrial painting services throughout the Elyria, Ohio area, featuring crews of skilled painters. 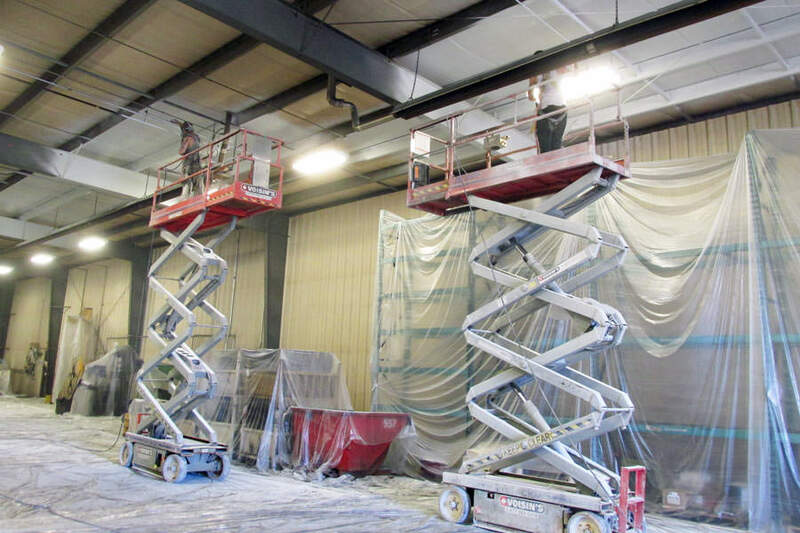 If you have a manufacturing plant, factory, warehouse, or industrial building that needs a major interior or exterior cosmetic restoration, we are the perfect choice in professional contract painters. We specialize in the high-volume spray painting of corrugated metal deck ceilings. 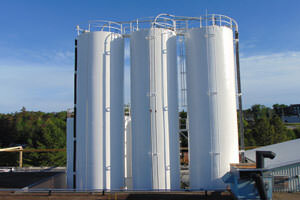 Induspray has a complete team that can work safely and take on larger projects confidently. Regardless of whether the facility needs exterior or interior repainting, we can handle it easily. We focus on carefully preparing industrial buildings, particularly older and contaminated facilities that are heavily soiled and in poor condition. Induspray painting contractors believes that the most important part of a painting project is the surface adhesion. A durable, long lasting and smooth paint finish always starts at the surface. In order to ensure that we meet the industry’s best practices, a clean, intact underlying surface must be present before we apply any paint or coatings. When a painting job is done right the first time, it prevents the unwanted (and usually very significant) cost of having to redo the project down the road if the coating adhesion fails. 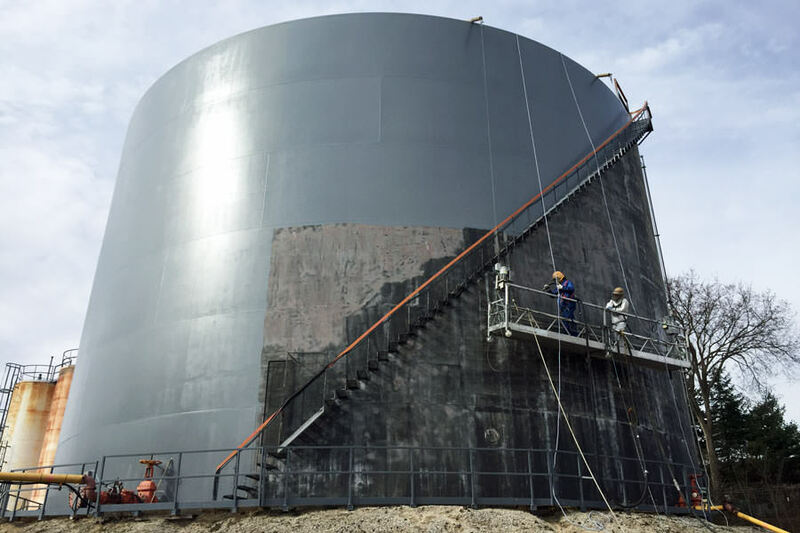 Our painters know this and use the following skills and methods to ensure good results: standard power washing, steam cleaning, high-pressure washing, micro abrasion, shot blasting, chemical cleaning, sandblasting, ice blasting, and others depending upon the situation. Techniques used by our painting professionals include airless spray painting, unmatched in many industrial painting situations. 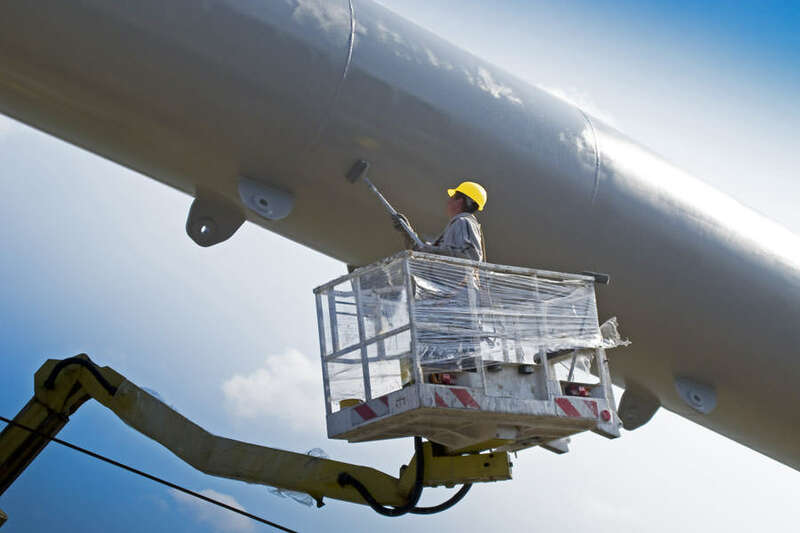 Our painters are trained to use lifts and hoists, granting them free range access to hard-to-reach places. We guarantee the best bond for your surface and minimize corrective costs that would otherwise fall outside of your project budget. 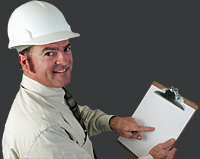 Every project is individually analyzed to determine the correct and optimum application procedures. 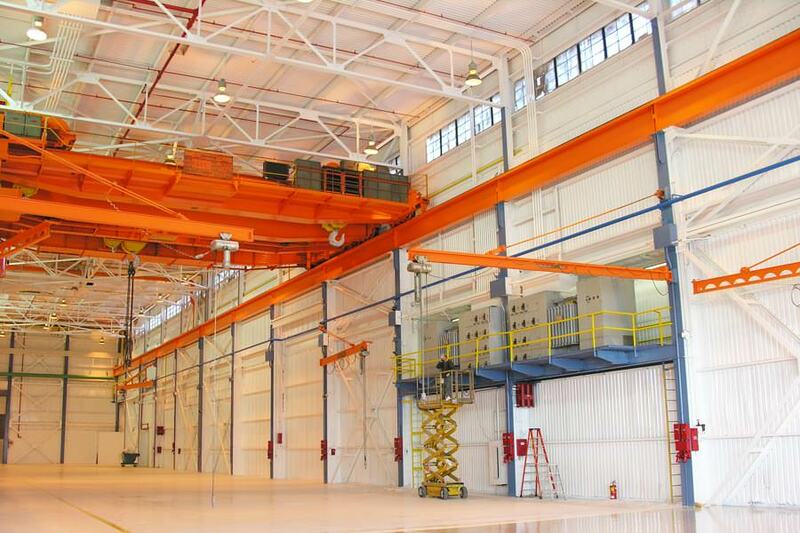 Let our experienced Elyria, Ohio painting contractors serve you for all of your industrial painting needs. We can use a wide variety of coatings, though usually, there is only one that is optimal for a given environment and budget. Induspray provides high rates of customer satisfaction by minimizing expenses, and ensuring the life of your paint coatings through proper surface prep and coating application. 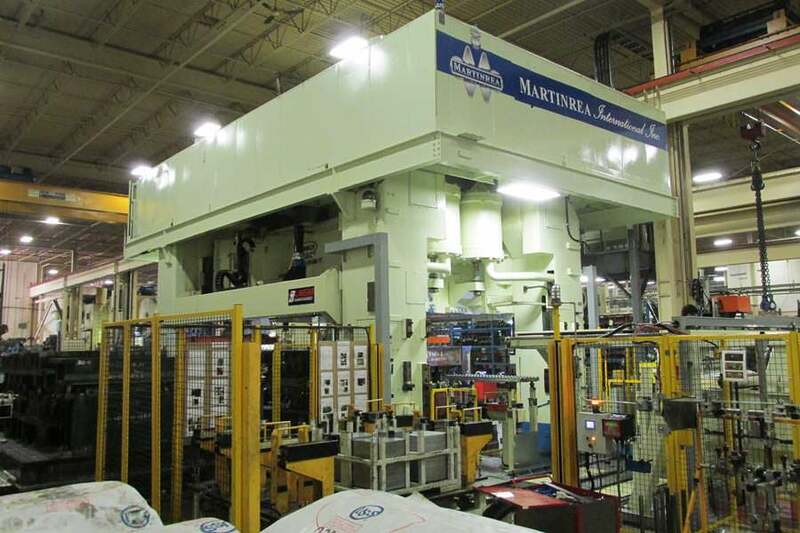 Coating solutions may include: high-adhesion coatings, dryfall paints, oil paints, latex paints, epoxies, enamels, non-slip, low VOC (low-emissions) coatings, urethanes, polyurethanes, and more. We always correctly match the coating to be used according to the type of surface. Also, we pay attention to any inclement weather that could delay or affect a project, and make sure to consider the local climatic conditions (often extreme) for projects located in or near Elyria, Ohio. Induspray is the ultimate choice for industrial painting contractors serving the Elyria, OH area. We’ve been painting since 1975, and during that time have gained extensive experience with all kinds of large industrial and commercial painting projects. We focus on having highly skilled painting crews, effective project managers, and a key group of partners and suppliers, all of which contribute to us completing our projects optimally and according to schedule. 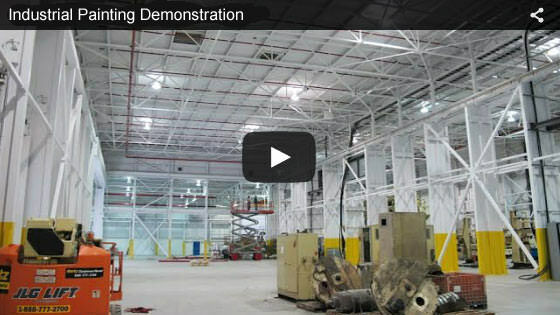 Induspray processes millions of square feet of painted and coated surfaces annually. This requires a large volume of supplies and materials, especially paint. Since we purchase these in such large quantities, we can pass significant savings on to our customers — all while still using top quality paints and coating systems. If you’re researching industrial painting companies for a painting project in Elyria, OH, you’ll definitely want to consider Induspray. We’d be glad to provide assistance by carefully assessing and discussing your needs, and visiting you personally at the job site if required. We will then follow up with a detailed written cost estimate, plus make professional recommendations and cost-saving suggestions specific to your project. These services are provided absolutely free of charge, and without obligation. Contact us today. Our local Elyria, OH service area includes Greater Elyria plus nearby Lorain, North Ridgeville, Grafton, Brentwood Lake, Sheffield, Avon and Amherst located in Lorain County, Ohio. 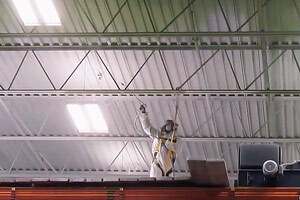 "We are definitely impressed by your recent work repainting our Elyria, Ohio warehouse. Everything about the job went smoothly, and we are highly pleased with the end result. 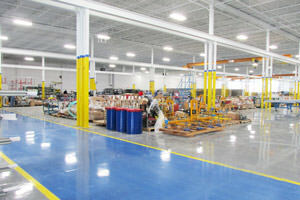 Not only is our facility cleaner and brighter, but it makes it safer." "Induspray did an outstanding job for our company. The painting and cleaning crews were friendly and highly professional, and worked around our tight schedules to complete the job with minimal impact on our production. The value and quality of the work performed were exceptional, far better than I've experienced in the past with similar projects. Overall, it was a pleasure working with your company, and I give you an A+ rating overall." Located just west of Cleveland, the city of Elyria, OH has a diverse population of approximately 57,000 people. It’s home to a number of industries and businesses, including manufacturers and miscellaneous industrial companies. 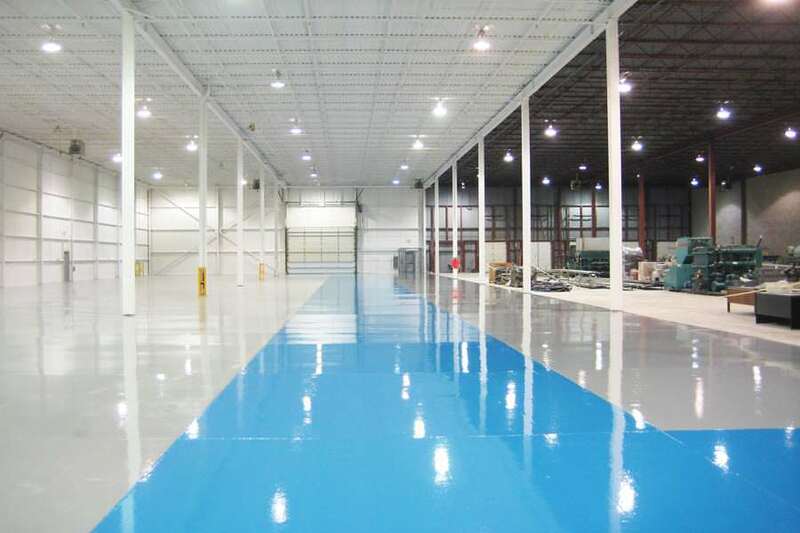 The area is serviced by several commercial/industrial painting firms.